We've spotted a new coupon for Nivea creme! 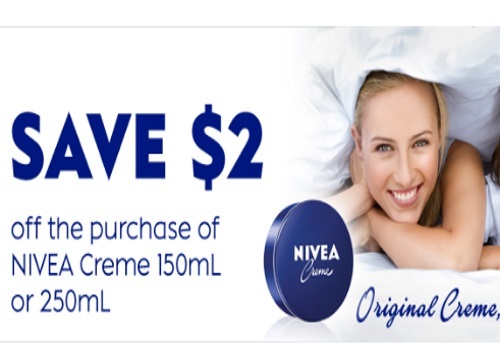 Save $2 off when you purchase Nivea Creme 150ml or 250ml. This is a hidden Smartsource print coupon. Limit 1 print per person. While quantities last.